Expanding on its 2013/14 exhibition Sky High & the Logic of Luxury, the Skyscraper Museum has continued its exploration of supertall skyscrapers with a new web tool highlighting New York City’s super-slender, ultra-luxury residential tower. 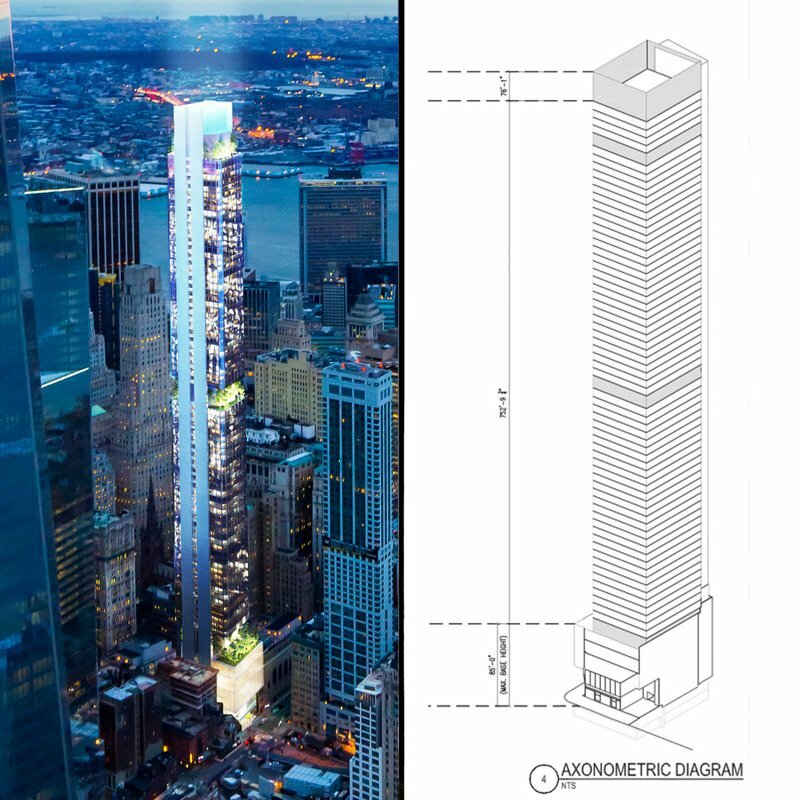 The museum has used a minimum 1:10 ratio of of width to height to categorize buildings as super-slender, and the range goes all the way to 1:23 in the case of 111 W. 57th Street, a building by SHoP Architects that is estimated to complete in 2019. As the Skyscraper Museum notes, these super-slender skyscrapers are driven by demand for views, are possible through a combination of technological advancement in engineering and zoning. 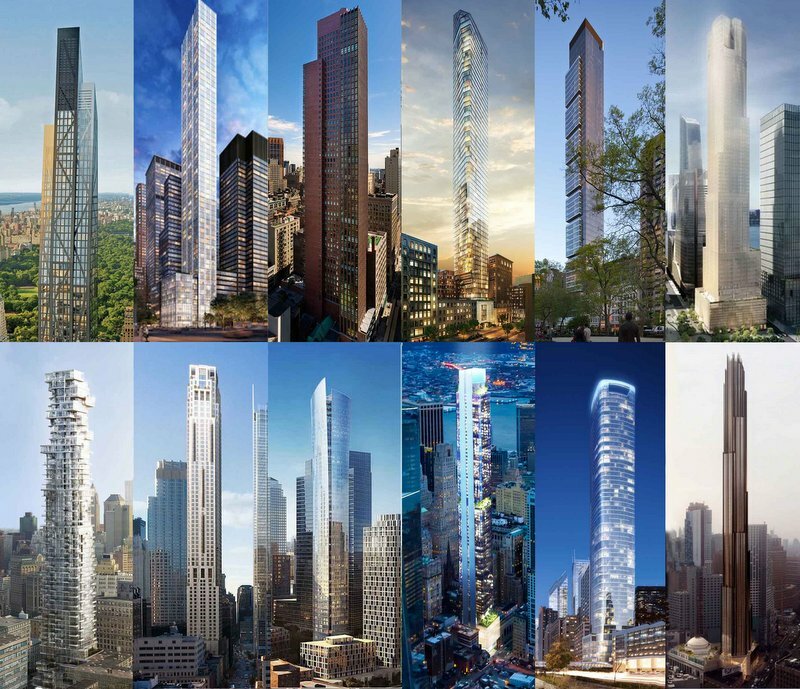 The most notable of these super-slender skyscrapers so far include One57 and 432 Park Avenue, which have already been finished, but towers like Sky House (2008) and One Madison (2010) certainly heralded this change earlier. The vast majority will be completed in the next few years.